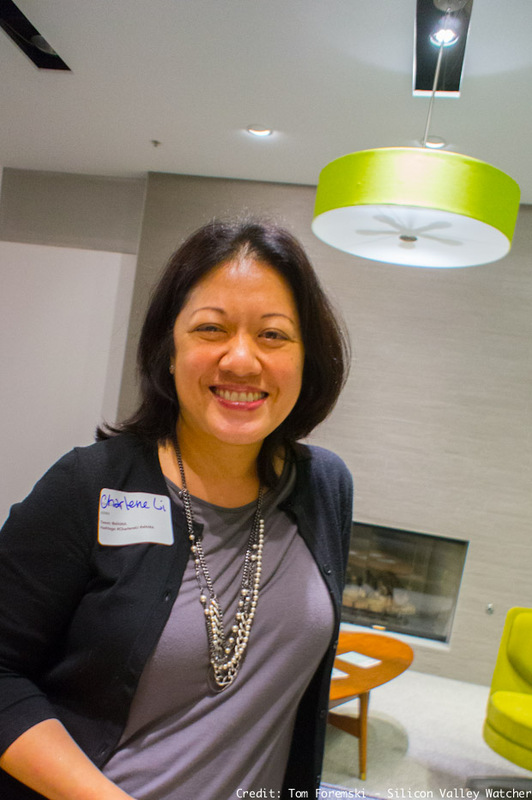 Charlene Li, founder of the Altimeter market research group, has a new book coming out in March, "The Engaged Leader." She spoke about the book and her views on social media's impact on marketing, at an event organized by the local chapter of the American Marketing Association, at Weber Shandwick San Francisco. Charlene Li gave a presentation that focused on a message of engagement between brands and consumers. She argued that brands should seek "intimate" relationships with people. The theme of "engagement" in marketing is a signature idea at Altimeter. Li's colleague, Brian Solis also pushes this idea in his book, "Engage!" Li said everyone in a business should share stories because sharing helps to start a relationship with consumers and relationships lead to loyal customers. She said social media is far from dead and that we have not even begun, there is much more to be done. She spoke about the silos inside organizations and how they are an obstacle to a gaining an accurate profile of a customer. Companies should know their customer maps — how people become customers, what was their journey? But customer data is fragmented across silos and unavailable. And there are tens of thousands of data points and hundreds of data sources, for each potential customer, which ones matter the most? She said culture was the most important obstacle in transforming a company into an engaged organization. Her forthcoming book looks at the vital role that leaders have in transforming a company culture and creating a company culture that's engaged with customers. Foremski's Take: I'm a big fan of Charlene's, and I agree on many things such as the need for businesses to use social media, I think of it all as "media" and every company is a media company. When Charlene speaks about the importance of creating strong, even "intimate" relationships between brands and customers, I shudder. It's challenging enough for me to maintain my relationships with my kids, my friends, my colleagues. I can't handle anymore relationships and especially not from brands. It seems almost unethical for marketers to demand metrics of engagement such as Facebook likes, or social shares from their customers. It takes attention away from their lives and real relationships with the people who support them everyday. A brand is a label that's attached to something you own. People know it's not a relationship because relationships are personal. A relationship is a friendship and friends ask favors of each other. Will a brand help me pack my things and move apartments? Will it look after my kids for a few hours in an emergency? There is no way a CEO can have a personal relationship with every employee let alone a large brand with its customers. And a brand's biggest fans are its most engaged customers but they come for free, there's no need to engage more. Brands should not actively seek relationships, they should sit quietly and not interrupt people constantly, but always be available when you need them. Business is a service, be a humble servant. If a brand could somehow help me strengthen my relationship with my kids, parents, neighbors, then that would be the best form of engaged relationship building. If it could help me with that — instead of competing with those relationships — I would love that brand to pieces. 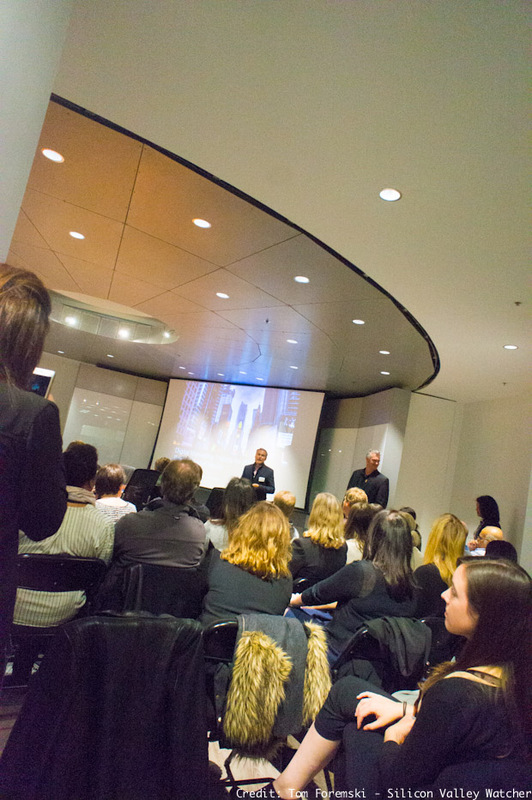 Below, Luca Penati West Coast GM and Mediaco Lead at Weber Shandwick, welcomes SFAMA guests to the new "Church" meeting room. If we take our technologies of personalization and predictive business analytics to their ultimate point, we won't need marketing or consumers. Brands' products will just show up at your door and it will all be perfect: a perfect fit, perfect timing, perfect style, and perfect price. Perfectly tuned to you is the ultimate future of a personal customer experience. Your brand will know all about you, and know exactly when you need it, before you knew it and all with frictionless auto-debit. You will marvel at the perfectly synchronized nature of this caring, observant, AI-driven world that you live in, that just now delivered exactly what you needed without you having to even think of it! You didn't even know you wanted it until it showed up! You will gradually forget what the experience of "wanting" something feels like. That nagging frustration of wanting that thing, that brand, yet knowing it is all a hollow and manufactured desire – will be gone. Life will become a "wantless" experience and free up room for other thoughts. In our lifetime we will see the end of materialism and the consumer experience of owning and wanting. We will be liberated from the onerous work of being a consumer: having to go through the research process of finding something to want, and then thinking about having it, then searching for it, going out, going online, buying it, bringing it home, opening the box, throwing the box away. Finding the box, sending the thing in the box back, getting a new box. It's a lot of work being a consumer. From "want" to "get." From consumer to person. Our future predictive technologies of commerce [and healthcare] will free-up years of real life. The end of marketing and consumerism will give us the time to explore this curious human experience of being — rather than buying.